New version introduces new “Compile All” command, now called “Batch compile”. In previous version you were able to compile only one version of target file at a time. Now you can compile different variations of the same format (or all formats if you prefer). 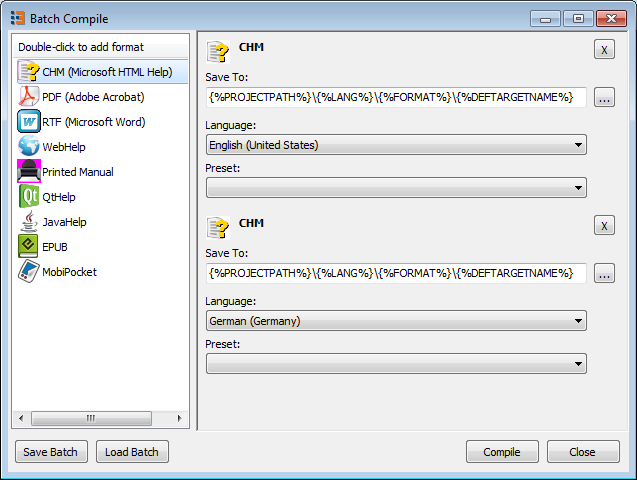 For example you can compile CHM files for all supported languages and variable presets present in the project. At the bottom left corner there are two buttons: “Save Batch” and “Load Batch”. 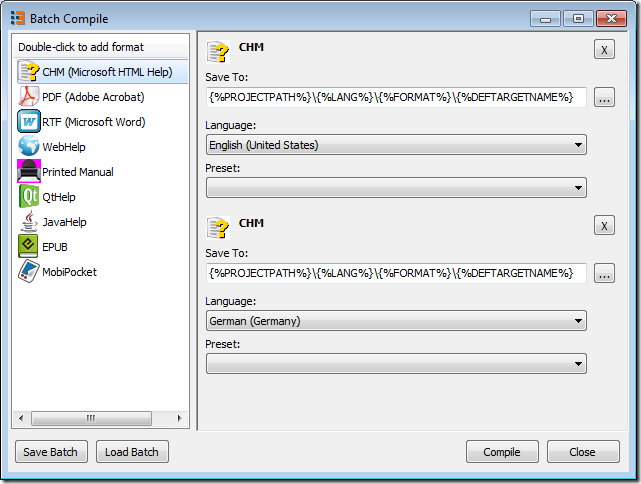 Using them you can save created batch to external file and load it back. (Helpinator stores current batch to the project file). Also you can use created batch file with command-line utility chelpinator.exe passing it as the first parameter.